GELEC Energy Developed a Bi-Carburation kit to run generators with Bio Oil TECHNOLOGY. 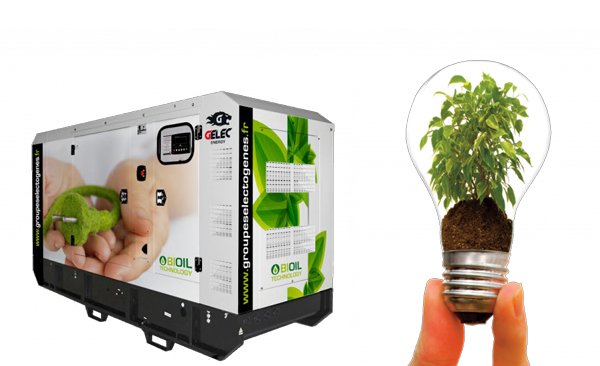 Conceived by our ingeniors and once added to your generators it allows you to generated power at 100% from vegetable oil and/or used cooking oil. Vegetable oils reject only the CO2 absorbed during the previous year, during the growth of the plants. The BIOIL gensets have the advantage of diesel/vegetable bi-fuel, an answer to today’s economic and environmental demands. The ability to use various straight vegetable oils or recycled oils to supply a motor allows us to adapt to local economic realities. The variety of straight vegetable oils lets you choose your fuel depending on the area where the equipment is installed, as well as on market prices. 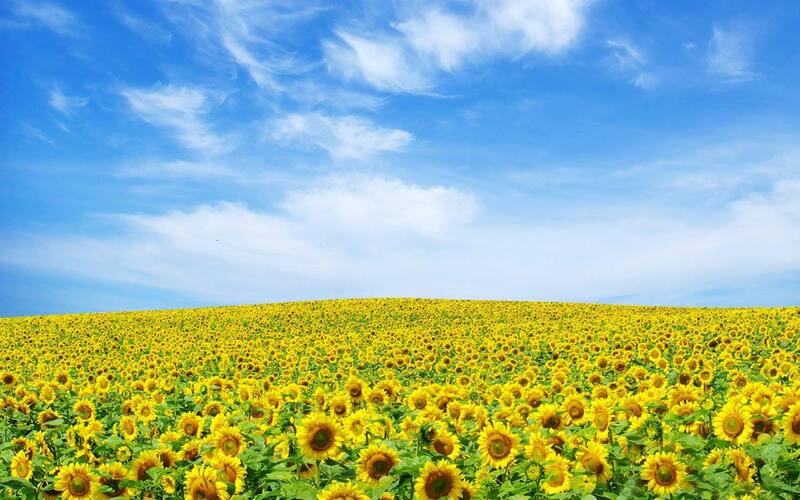 Natural plant oils carburant are as efficient as diesel injection, the engine while running with Bio Oil should be modified to use natural vegetable oils (Rapeseed oil, palm oil, Jatropha oil, coconut oil, soybean oil, sunseed oil, sunflower oil…). Performance is identical and pollution in the exhaust is in favor of vegetable oils. These are the three half-hourly periods of highest demand on the UK grid, which are identified at theend of each winter. Generators that can fire up quickly and help to meet demand during these half hours can earn a lot of money in a short period of time. Vegetable oils contain no lead and no sulfur. They have a greater viscosity rate, which means better lubrication and therefore less wear on the parts, leading to longer life for your generator. Vegetable oils do not contain lead, benzene or sulfur, to lower the rate of carcinogenic particles associated with diesel. The GELEC BiOil system lets you switch from straight vegetable oil to diesel and vice-versa. Optimise your revenue and reduce your costs by careful management with our Bio Oil technology. As with a power plant, these generators could sell energy on the open market. This earns them a price per MWh given over to electricity suppliers or intermediaries with whom they hold a contract. These contracts can run for one to many years and vary with each generator on the way the price paid relates to market price at the time. Availability payments based on the number of MWs a supplier commits to STOR and the number of hours they are commited for. The price is set by regular auctions. Utilisation payments based on the number of hours a producer is actually called on to generate in STOR and also set by auction. They exist because of the Renewables Obligation (RO), which requires electricity suppliers to generate an increasing percentage of their power from renewables. To do this, they purchase ROCs from renewable generators or from the ROCs market. Certain bioliquid generators qualify for ROCs like the Bio Oil Technology of GELEC. The use of gas-oil is reduced to simply starting the engine and rinsing pipes. As soon as the engine is running, the coolant fluid transfers heat to the heat exchangers for the dual-fuel system. These heat exchangers are used to heat the vegetable oil to reduce its viscosity and enhance fuel injection. When the vegetable oil reaches a temperature of 65°C, a solenoid valve automatically switches the feed to the engine to ‘oil’ mode. When the engine is stopped, an automatic system (ﬂush) will reinject gas-oil to flush all the pipes and the injection system. Developed by GELEC’s technical teams, BiOil generators use the latest bi-fuel technology. These latest generation generators, specially designed to operate using straight vegetable oils (SVO) or recycled vegetable oils represent a major advance in the world of autonomous energy. The GELEC BiOil generators respond to the economic requirement of finding alternative sources of energy and to the environmental challenges we all face. Cleaner, more autonomous, more weather resistant, the GELEC BiOil generators were designed to operate in all climates, and under extreme conditions. The main oils used are: Rapeseed oil, palm oil, Jatropha oil, coconut oil, soybean oil, sunseed oil, etc. FINANCE YOUR EQUIPMENT 100% AND CONSERVE CASH FLOW !